Etta Violet Emily Oxlade was born on 13 June 1899 in Rosewater, South Australia , daughter of William Charles Oxlade and Catherine Mary Wilkins. On 18 October 1919, Etta, aged 20, married Clarence John Carr, aged 23, in Methodist Manse in Exeter, South Australia . Matilda Catherine Oxlade was born on 2 March 1902 in Glanville, South Australia , daughter of William Charles Oxlade and Catherine Mary Wilkins. [S4] SA Marriage Registrations, SAGHS CD Marriage 1917-1937, Book 293 Page 548. 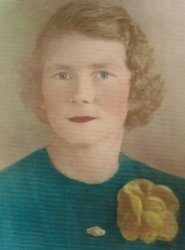 Alma Vera May Oxlade was born on 22 May 1904 in Sutherland Street, Glanville, South Australia , daughter of William Charles Oxlade and Catherine Mary Wilkins. 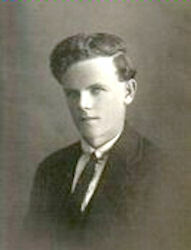 Alfred Ernest Tabor was born on 21 May 1902 in Birkenhead, South Australia , son of William Charles Tabor. He died on Friday, 30 May 1969, aged 67 years and 9 days, in Semaphore Park, South Australia . Alfred was buried on 4 June 1969 in the Cheltenham Cemetery, Cheltenham, South Australia . James McInnes was born on 8 September 1950 in Semaphore, South Australia .